CMM Inspection Buffalo, NY | Snyder Industries, Inc.
Snyder Industries maintains its reputation of excellence by its strict quality control requirements. 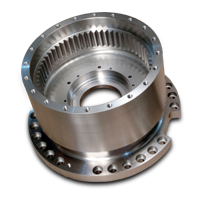 High tech measuring devices and experienced personnel insure that the highest standards are met. Snyder Industries runs three Coordinate Measuring Machines (CMM) in a 1,864 sq ft climate controlled area to ensure accurate measuring. Each machine digitally records the information of each measurement. The CMM probe is capable of making many measurements quickly and efficiently. This robotic feature enables Snyder Industries to provide its customers with the most thorough records available. 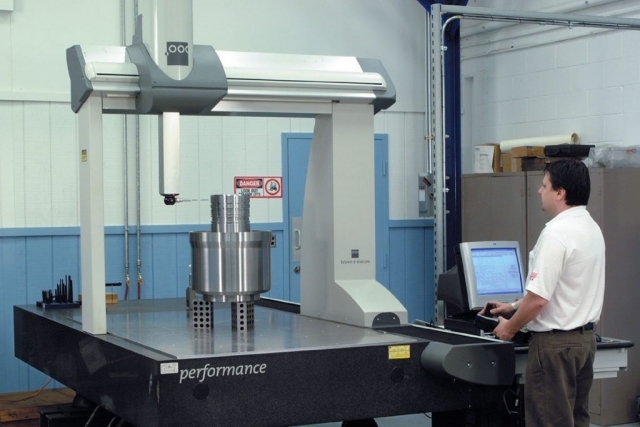 Through the use of the Coordinate Measuring Machines, Snyder Industries can check the tolerances of its manufacturing down to .0002″ and give its customers a printed report showing that the parts do meet or exceed their requirements. Website contents copyright © Snyder Industries, Inc. Website contents copyright © Snyder Industries, Inc.